Today’s question: Tell us about your family’s Christmas traditions. Our Christmas traditions begin with putting out the Advent wreath on the first Sunday of Advent and reading a prayer as we light the candle(s) every evening at dinner. Around the second or third Sunday of Advent, we travel to the local Christmas tree farm and chop down our Balsam tree and put it up near the fourth Sunday of Advent. Then we bake cookies and watch a variety of Christmas movies in the days leading up to Christmas. Sometime before Christmas, the boys pose in front of the Christmas tree (we have photos from just about every year with them posing in front of the tree). On Christmas Eve, we attend the latest Mass on Christmas Eve and, early the next morning, after singing Happy Birthday to Jesus, we open presents. Yes, even though our sons are 14 and older, we still insist they sing Happy Birthday to Jesus. The day usually ends with a huge turkey meal with family here at our house (although this year, we’ll be having a huge meal on Boxing Day/St. Stephen’s Day. Below is one of the posed photos of my sons from 2006. Since we have relatives coming up to visit and since my husband is in a musical this Christmas, I’ll be taking the next week off, so I’d like to wish everyone a very Merry Christmas and a Happy New Year!! I’d like to share my seven favorite Christmas Movie/Special Quotes! Clarence to George: “Strange, isn’t it? Each man’s life touches so many other lives. When he isn’t around he leaves an awful hole, doesn’t he?” (This is one of my all-time favorite Christmas movies and this is one of the best pro-life quotes there is…) This is my all time favorite Christmas movie. Find more information about the movie here: It’s A Wonderful Life. Elf has become my second all-time favorite Christmas movie. Here’s Elf’s profile on IMDB. Ralphie as Adult: [narrating] “Oh, life is like that. Sometimes, at the height of our revelries, when our joy is at it’s zenith, when all is most right with the world, the most unthinkable disasters descend upon us.” Find out more about “A Christmas Story” here. Bob singing Counting My Blessings: “When I’m worried and I can’t sleep, I count my blessings instead of sheep and I fall asleep counting my blessings.” White Christmas is one of the most popular and watched Christmas movies every year. The Conductor: “Seeing is believing, but sometimes the most real things in the world are the things we can’t see.” Learn more about this beautiful Christmas movie here. More about this special here. 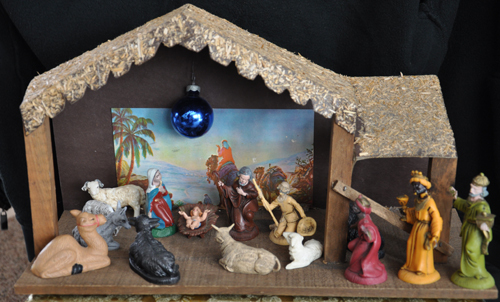 My late mother bought this simple, inexpensive manger back in 1971. When she decided to replace it in 1976, I asked her if I could have it. I packaged it away in my “hope chest,” for use after I got married. Our first Christmas as a married couple in 1982, I brought the manger out of its box and we have continued to use it every year since. We have replaced the Mary figurine and one of the animals, but otherwise, it is the original set. It’s not the most elegant nativity set and is probably not worth much more than the original 2.50 my mother spent. 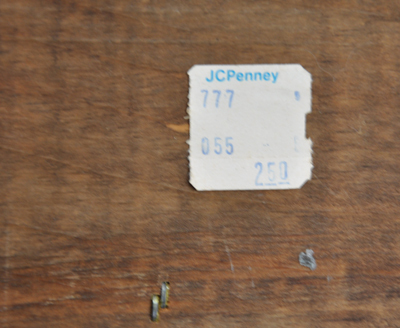 However, the sentimental value is…well, priceless. It’s time again to connect with RAnn and other Catholic bloggers for Sunday Snippets where we share posts from the previous week and answer a weekly question. Question of the week: What spiritual gift do you want for Christmas this year? I’ve had to juggle extra work, the boys’ sporting and musical events, Christmas shopping, writing deadlines etc. This Christmas, I pray for increased charity and patience. 7 Quick Takes Friday – Volume 100 Update on my new novel, Christmas card humor, a mini review etc. My editor has finished working on the manuscript of A Subtle Grace and I will be implementing her suggested edits in the coming weeks. The next step will be to have my team of beta readers share their feedback. My capable proofreaders will then carefully read through the manuscript for typos. The Kindle edition will (fingers crossed) be published in January or February. Print edition will be available in the spring. If you missed my post about the Advent Wreath Link-Up, it’s not too late to add your own Advent wreath photo. We’re heading to the Cedar Hill Christmas Tree Farm over the weekend to cut down our Christmas Tree. Another favorite book of mine that I read around this time is a book called Christmas Miracles. It’s a lovely book with heartwarming and inspiring stories. Highly recommend! 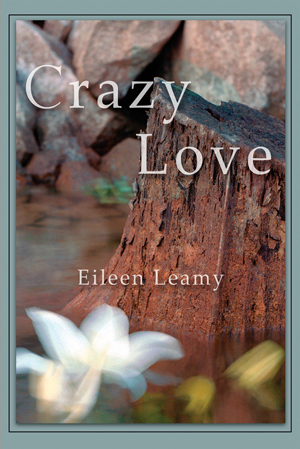 Crazy Love is a beautiful story of love and faith, joy and loss. Based on true events, Harry and Eileen were blessed to find love late in life. 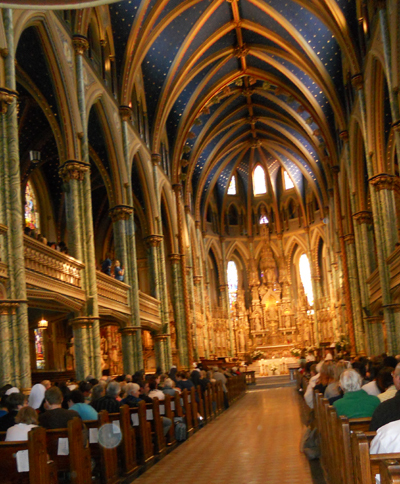 Harry was eventually diagnosed with cancer and their love story becomes a fervent plea to God. Uplifting, heartfelt and inspiring, I highly recommend it!! Buy it here on Amazon. 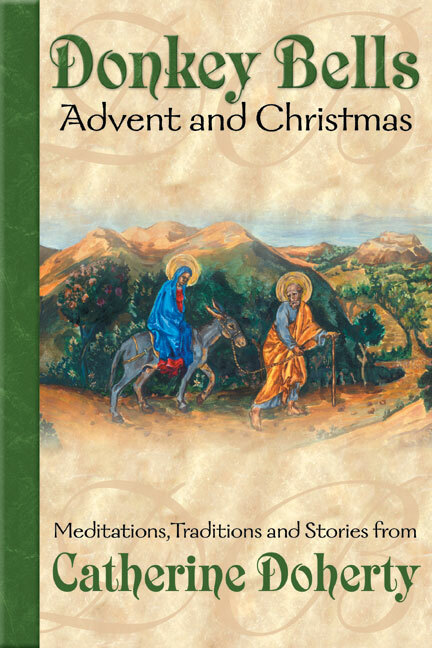 Today, I’m participating in the “Advent Wreath Link-Up” over at CatholicMom.com. Our Advent wreath has been used by our family for over 20 years. My husband, James, lovingly made it when our children were small and we have continued to use it over the years. Every year, we replace the candles (although we keep the rose-colored candle for a few years) and the evergreens, which we obtain from the forest beside our home (in this case, I cut the greens during a blinding snowstorm). 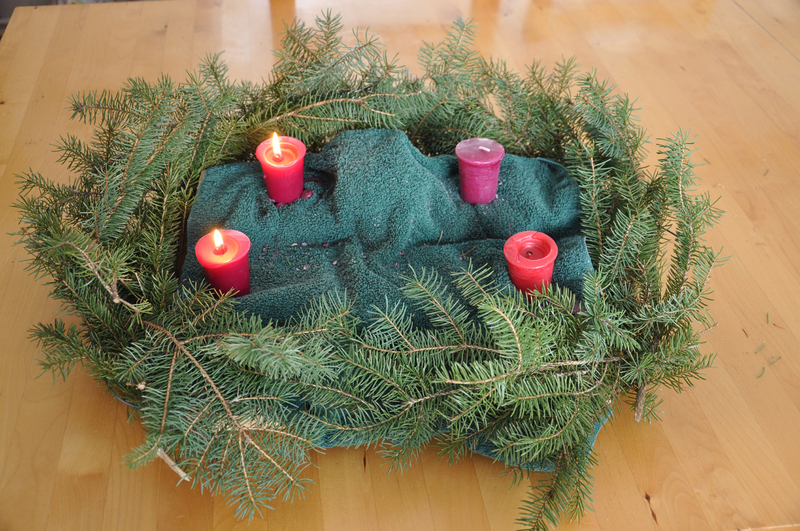 To see more Advent wreaths, come on over to CatholicMom.com!